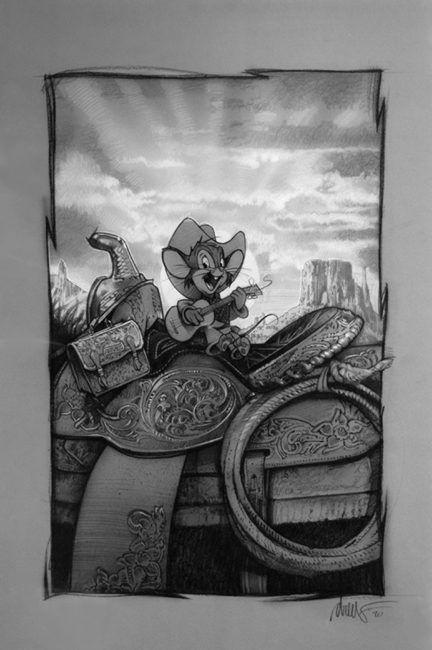 "Look out pardners, there's a new mouse in town!" Five concept designs concieved as considerations for the advertising campaign of the movie. Each one signed and dated lower right corner with "drew '90"